Mitochondrial diseases form a genetically and clinically heterogeneous group of disorders that result in the dysfunction of the mitochondria oxidative phosphorylation (OXPHOS). This system is responsible for the generation of the cellular energy required for the function of cells, tissues, and organs. Skeletal and cardiac muscle dysfunction is also a common feature of mitochondrial diseases. Effective treatments have not been developed and are mostly related to supportive management and palliative therapies. Most pathogenic mitochondrial DNA (mtDNA) mutations are in a heteroplasmic state, and high levels of mutated mtDNA within a cell are required to exceed a critical threshold to cause a phenotype. Therefore, the goal of a therapeutic intervention would be to eliminate or decrease the amount of mutated mtDNA below a certain threshold to avoid clinical and biochemical manifestations of the disease. Our group and others have made several advances over the last 15 years inducing heteroplasmy shift as a potential strategy to treat mtDNA disorders. Although mitochondrial-targeted restriction endonucleases can efficiently change mtDNA heteroplasmy both ex vivo and in vivo, this approach can be used therapeutically only if a unique restriction site is created by a mtDNA mutation. To overcome this, non-specific endonucleases targeted to mitochondrial mutations have been developed using gene-editing nucleases such as zinc finger nucleases (ZFNs) and transcription activator-like effector nucleases (TALENs). 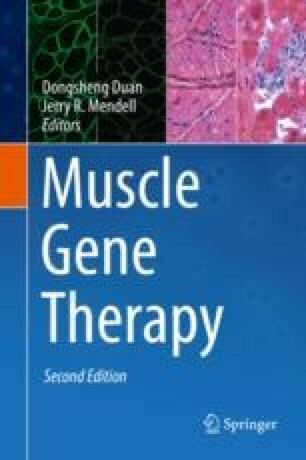 These are being used to reduce mutant mtDNA in the muscle and heart of mouse models. Although some limitations and concerns exist, future experiments should make this approach safe to treat patients. This work was supported by the US National Institutes of Health grants 5R01EY010804, 1R01AG036871, and 1R01NS079965. The following grants also helped support this work: the Muscular Dystrophy Association and the NEI center grant P30-EY014801 from the National Institutes of Health (NIH).